I agree BUT he hasn't stayed healthy enough to start... perhaps why he was an UDFA? Comes back to my point that he should consider the same surgery Clowney had if he has a similar injury. Dude could be an outright stud at C if fully healthy. Not to cut off anyone's reply to JB's question, but I'm hoping someone can help me understand what Martin's specific deficiencies are. Is he lacking in leg, arm, or core strength? Recognition and reaction time? Balance or use of leverage? Footwork or lateral movement? Football IQ? Help me out with this analysis, please. Thank you. Yes, the general consensus seems to be that the coaching, surrounding players, and cohesiveness are less than optimal. What I'm looking for, though, are thoughts on Martin's particular shortcomings. Martin has had a tough time holding back or pushing on, especially against decent NTs.........a definite residual of his history of 2 high ankle sprain/fractures. After such injuries, strength becomes an unavoidable chronic problem. HaveMercy, CWTexansFan and JB like this. Must be painful playing on a bung knee. Still, isn't he only exacerbating the problem by playing on it injured? Clowney turned out good due to better modern methods. For many reasons, NFL players do not readily opt for microfracture knee surgery. Of all sports, football has the worst record for return to play (only 67%) and length of play after the procedure (66% of those 67% return for only 1 season and only ~40% of the 67% make it to 3 years).............as well as performance level compared to pre-injury. And those opting for this surgery have an extreme high rate of need for knee replacement following the end of their career. And be assure that this is a very tough painful surgery to rehab. Easy to see why this route is not lightly or commonly taken. HaveMercy and CWTexansFan like this. I don't think he's strong enough & seems to have issues with planting & balance. He continued to have intermittent problems with his knee last season which limited his play. So they should add 2-3 new pieces? Which adds to cohesion how? Not talking talent level or coaching (which wes should all know is lacking). His ankle is messed up and that is causing a weakness in his base hurting his abilty to drive block.. It also limits his mobility to get to the 2nd level. Once you badly sprained/tore ligaments in your ankle you're never the same. Even with surgery. I kind of hope they draft a guy like Scharping (Who I think can play RG) in addition to a LT in the draft. I would love to see Fulton at C since that's a position he played very well for the Chiefs. Anyways, Martin's job should be open for competition. Just as an aside, my then 16 year old brother was the first donor bone Knee replacement in Australia around 35 years ago. Got shot with a 30 30. Kept up his rehab religiously even going above and beyond to this day and still has that replacement knee. Docs of the time said he might only get 20 years out of it. Give me talent, which the current Texans OL is lacking and then let's worry about Devlin making them a cohesive unit. I dont have much faith in Devlin because he 1. Recommended Davenport, which makes me question his ability to evaluate talent. 2. He hasn't really developed later rd OL. 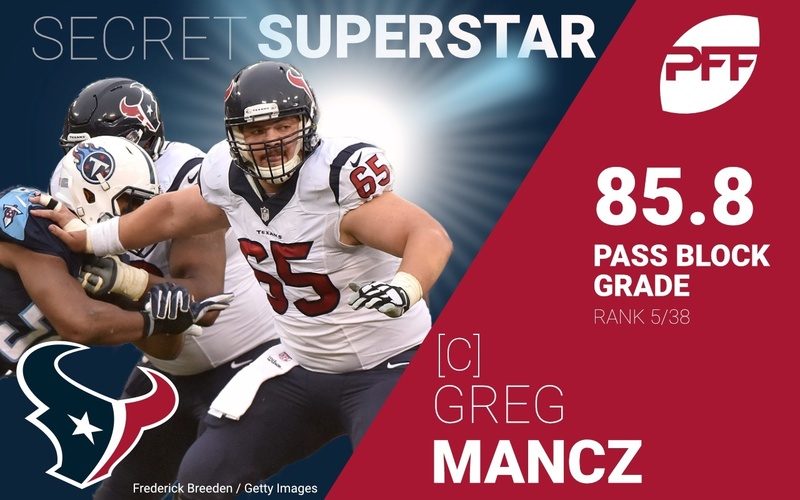 Although I thought he did a good job with Lamm and Mancz has developed under him. Happy to hear that your brother has experienced such success (I suspect you meant he was a host for the replacement). But you said BONE replacement. Bone with naturally attached articular cartilage can be expected to "take" (with supplementary help) and last permanently if it "takes" well. Fibro pseudo cartilage as produced by microfracture surgery, on the other hand, is very much a different story. It is less durable, irregular in surface, continually exposed to wear and tear, and is expected to have a very limited "lifespan"............especially in a high level football player. Again, I am glad your brother enjoyed a great experience with his operation. TheKDog and Texansphan like this. I could see the Texans having 4 new OL starters by the middle of the 2020 season. There's just too many issues for this coming season to be more than marginally improved. Still, marginal OL improvement this year might mean another half dozen successful plays per game. Couple that with smarter play calling and quicker play from Watson and we might just have something. CWTexansFan and Texansphan like this. It all comes down to how his knee holds out. Man, I hate it when I sucked into reading something by John McLame. Complete waste of time. I've wondered the same. He produced at Notre Dame, but the NFL is something else. He's a bit on the small side. I think he plays at about 300 lbs, has only 32" arms and 9 1/8" hands. I prefer a player who is more of a physical match to the defensive players.